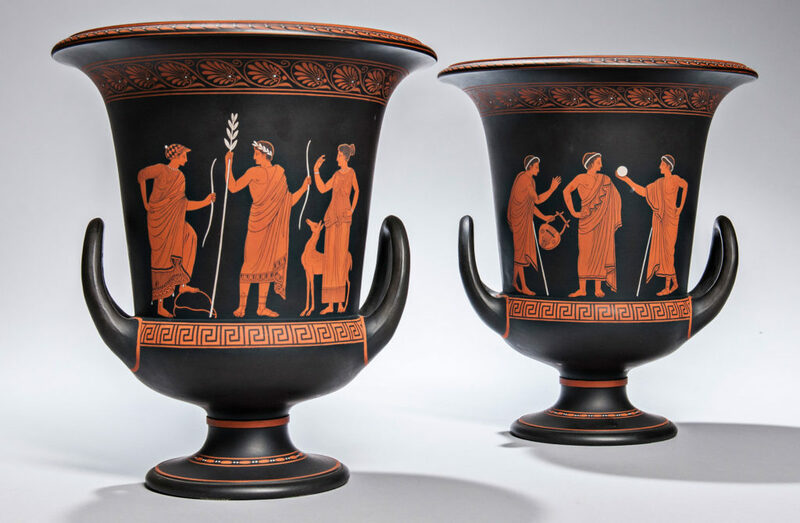 Lecture | Storied Wedgwood Collections and Stories about the Collectors | Skinner Inc.
Harwood (Woody) Johnson is the former managing editor and current contributing editor of Ars Ceramica, the journal of the Wedgwood Society of New York. He is on the board and is a past-president of the English Ceramics Study Group of Philadelphia. As was Josiah Wedgwood, he is a fellow of the Society of Antiquaries in London. Woody began collecting Wedgwood at the age of 15 in 1972. Forty-five years of collecting has meant a wealth of interactions with collectors of the past and collectors of the present. His talk “Storied Wedgwood Collections and Stories about the Collectors” will include personal recollections about many collectors, as well as a thoughtful commentary on the psyche of collecting Wedgwood. This entry was posted in Event and tagged auction, auction event, Boston event, ceramics, european furniture, event, free event, wedgwood by Skinner. Bookmark the permalink.